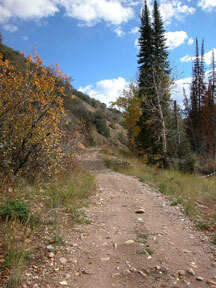 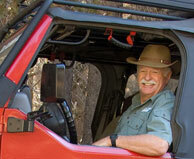 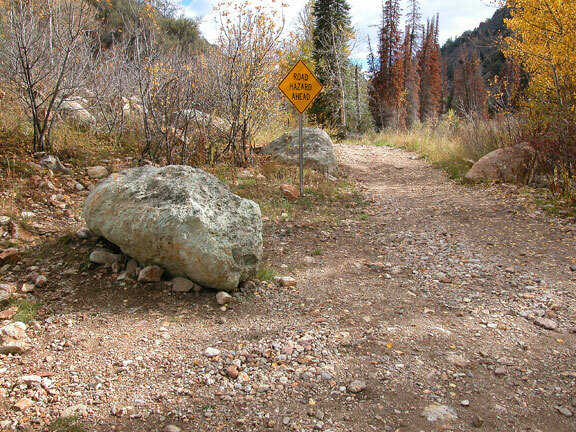 Jarbidge is a famous place in Elko County, here the County took a stand over the right to access. 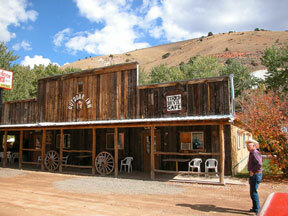 This is the Outdoor Inn, downtown Jarbidge. 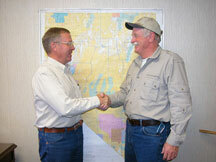 Grant Gerber (L), attorney and BlueRibbon board member, is most famous for his work in helping to save the Jarbidge road with the Jarbidge Shovel Brigade. The Liberty Rock (L) was moved by volunteers of the Shovel Brigade, to open the Jarbidge (South Canyon) Road. The Jarbidge Road after the Shovel Brigade re-opened and repaired it. 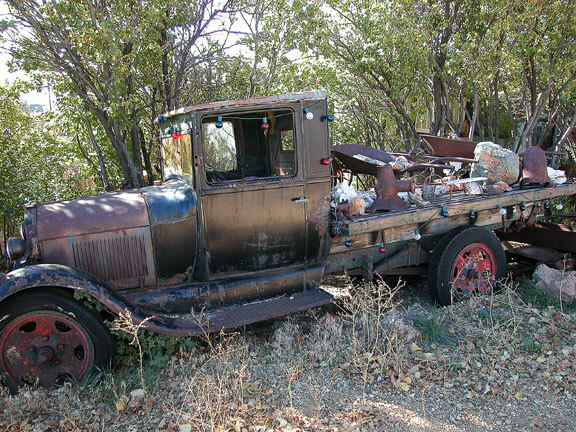 Tuscarora is a small mining town outside Elko where this old truck still sits downtown. 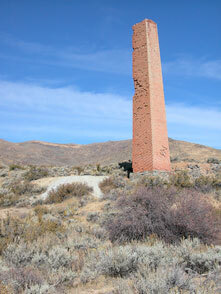 A brick smelter still stands above Tuscarora.